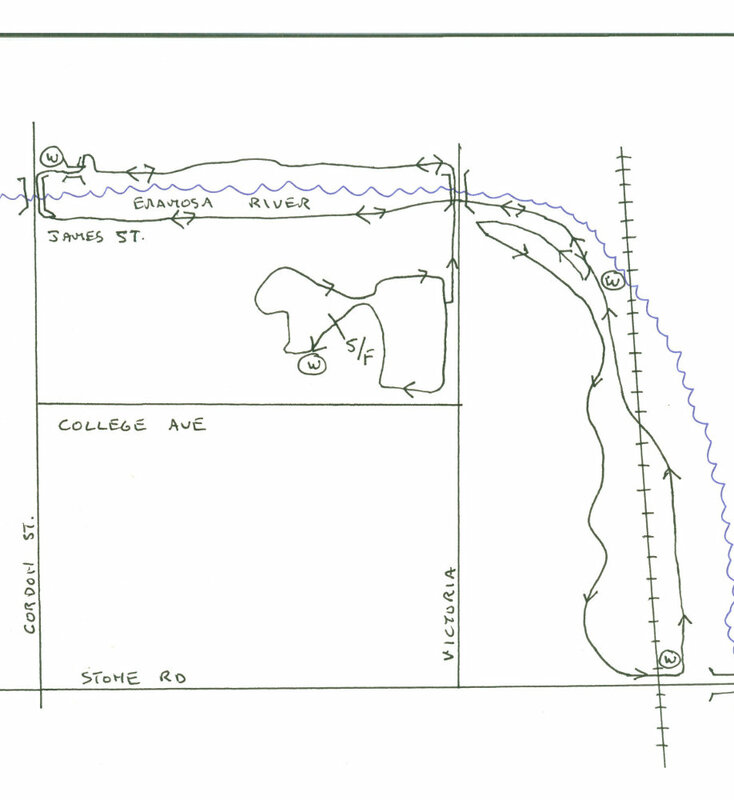 A drawing of the course. The runners will do a one and a half loops before heading out to Victoria Rd. Water stations are marked with a W.